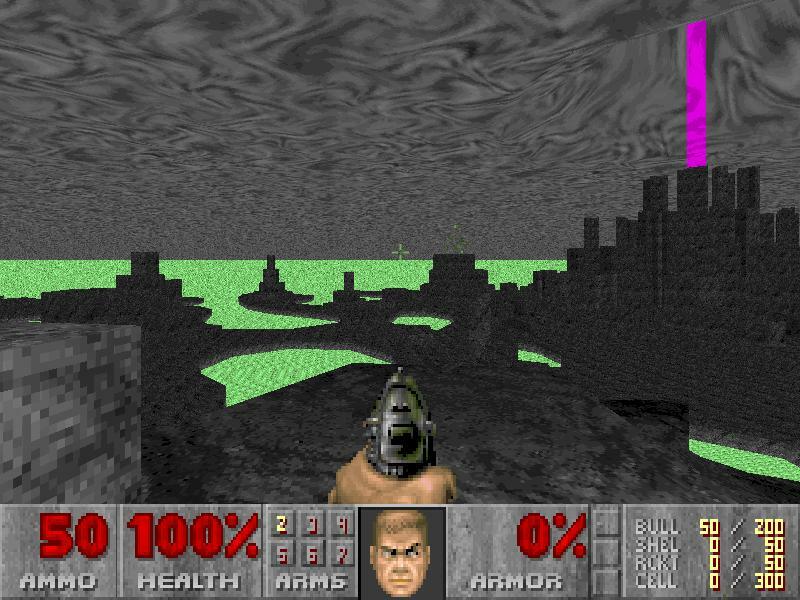 [tag=path]Doom/WADs/SkyBox[/tag]This is skybox I made for my level, then released it for ZDoom forum skybox contest. Unfortunately the contest's result wad has never been released (neither had my level). Last edited by grubber on Thu Nov 23, 2006 19:38, edited 2 times in total. That looks wonderful! Good job! I really like that 'hole in the sky' bit. Looks nice - but it almost kills the performance in GZDoom. There's just way too much visible detail in sight. One piece of advice though. Don't use the old 'bleeding flats' trick to cover the holes in the sloped sky. Better use the 'Copy ceiling plane' things, then you get the same results without hacking. Graf Zahl wrote: Looks nice - but it almost kills the performance in GZDoom. There's just way too much visible detail in sight. you should take a look at the posts date next time. it says that it was started and made in 2005! ah, sorry :S didn't notice indeed. from now on i will only bump stuff that is relevant or in development.